Abhay Wadhwa (31) started experiencing excruciating pain on the left side of his lower abdomen and groin area. When he couldn’t even stand due to the pain, his wife rushed him to the Emergency at Sitaram Bhartia Hospital in South Delhi. Abhay was constantly clutching his abdomen tightly as his wife described his condition to the consultants on call. On examining him, the consultants suspected ureteric stone and immediately informed Dr. Rajesh Khanna, Senior Consultant, Urology at Sitaram Bhartia. 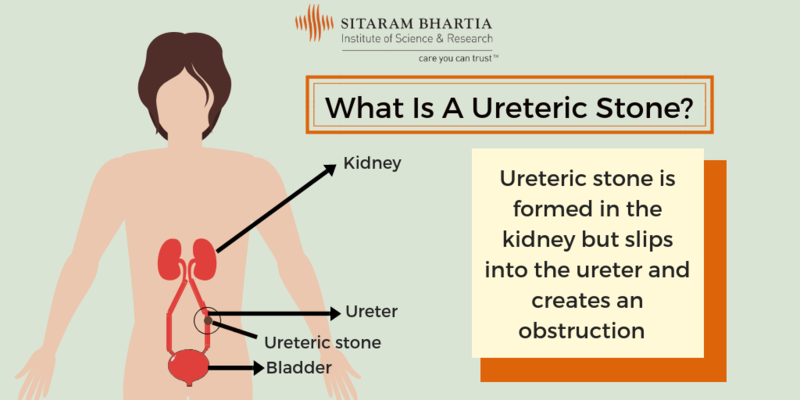 Ureteric stones are stones that form in the kidney and slip into the ureter (tube connecting the kidneys to the bladder). 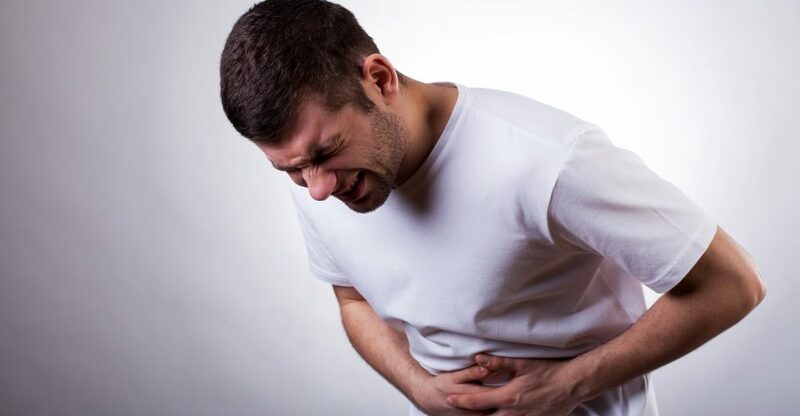 What are the symptoms of Ureteric stones? As Abhay was not in a state to talk, his wife Sujata, elaborated the symptoms he had experienced. “Abhay had been complaining about his frequent urge to urinate along with abdominal discomfort for a few days but we chose to ignore it. As days passed, he started noticing a pinkish hue to his urine which he ignored again. But when the severe pain started, we knew we had to see a doctor,” Sujata explained. How is a Ureteric stone diagnosed? Dr. Khanna gave him injectable analgesics for initial pain relief and advised them to get a few blood and urine tests. Along with that, an ultrasound was carried out to quickly confirm the diagnosis so that treatment could be started. “Abhay’s ultrasound revealed the stone,” remarked Dr. Khanna. Unaware of the condition, Sujata asked more about it. Ureteric stone – How is it caused? Ureteric stone is formed by the minerals and salts present in our urine when it becomes too concentrated. It may originate from the kidney and travel down the ureter creating an obstruction and not allowing urine to pass through. It can cause severe abdominal pain called “ureteric colic” which classically radiates from loin to groin. “The cause is often unknown but it is usually formed when you don’t drink enough water or consume food which is rich in sodium and oxalate,” said Dr. Khanna. When Abhay was finally stable and without pain, his wife explained the condition to him and together, they discussed the further course of action with the urologist. Treatment of Ureteric stone – Is surgery needed? In Abhay’s case, the stone had lodged itself in the ureter and was obstructing the flow of urine, and so surgical intervention became inevitable. First, an Intravenous Urogram (IVU) was performed to locate the stone inside the ureter. “In this procedure, a contrast agent is injected intravenously and is allowed to be excreted. Almost immediately after, the contrast agent becomes visible on X-ray and allows us to get a clear picture of the kidneys and ureters. About 7 to 8 X-rays are taken at different time intervals to capture the contrast at different parts of the urinary system. In this way, we are able to locate the exact position of the stone,” explained Dr. Khanna. As these stones are usually small a CT Scan is also sometimes required to pinpoint the exact stone location. The ureteric stone was found lodged in the middle part of Abhay’s ureter. “How will the stone be removed?” Abhay asked. “After the stone is broken up into very small fragments (less than a mm) and literally powdered by the laser, these small fragments are easily flushed out of the system by the flow of urine. The stent ensures that they do not get held up during their passage. Once Abhay clarified his doubts about the surgery, they decided on a date to get it done. Abhay’s surgery was successful and he was discharged the very next day with advice to return for the stent removal after a month. In the follow-up consultation, Abhay asked about steps he could take to prevent it from happening again. You should also drink at least 2 to 3 litres of water and other fluids daily to keep your urine diluted enough. This will prevent stone formation. Abhay promised to make the lifestyle changes needed to stay fit and avoid developing stones again. He also vowed to drink enough water on a daily basis. “My painful experience made me realize that I should’ve come in for an opinion earlier. I’ll make it a point not to take any symptoms lightly again,” concluded Abhay.